It’s a cliché to even mention the cliché that is the magic of the FA Cup – but try telling that to fans of Crawley Town. All 200 of them will have been delighted as Neil Ruddock and some comedian drew the balls that revealed they had pretty much secured the biggest draw they could have ever wished for – a day out at Old Trafford. Barry Hearn was similarly rubbing his hands with glee as Leyton Orient were rewarded for two impressive wins at high-flying championship clubs with a home tie against Arsenal, who stumbled past Huddersfield. Just down the road from Leyton, in one of Sunday’s ties, West Ham and Nottingham Forest served up an entertaining game with the Hammers coming out on top thanks to Victor Obina’s penalty that completed a somewhat bizarre hat-trick. Another team which could be sharing territory with West Ham and Leyton in years to come, Stratford Hotspur, had an awful day at Fulham. The tie was effectively settled by the break, with Spurs four goals and a man down. By the evening, Spurs’ fans attentions had turned to which La Liga striker Harry Redknapp hadn’t bid for. News broke that a £38.5m bid for Kun Aguero had been summarily rejected by Atletico Madrid – only for it to emerge that Spurs had apparently also tabled offers for Fernando Llorente, Guiseppi Rossi and Alvaro Negredo. 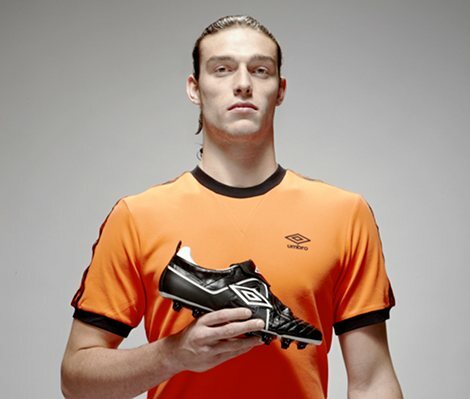 By this morning, Andy Carroll was the latest name linked, with Harry Redknapp still maintaining that he isn’t in for a striker. Funny way of showing it. Liverpool fans will be hoping for 11pm (or 1.45am tomorrow morning given the stupidly flexible nature of the window when a big club needs to complete a deal) to pass with Fernando Torres still a Liverpool player – but if the mooted £50m target is reached, it would be hard to imagine the club turning it down. Luis Suarez seems to set to fill the void of ‘world-class striker ploughing a lonely furrow’ at Liverpool if Torres does move on. Sky Sports will be busy all day with reporters outside training grounds uttering ‘I understand that…’ when really they don’t understand anything at all and are just making up stories to keep the channel going. But the transfer window certainly makes the last day of January a lot more interesting than it would otherwise be – even if it seems bizarre that clubs who have had 30 days to sign a player are only able to complete the deal with six minutes to spare on the 31st.